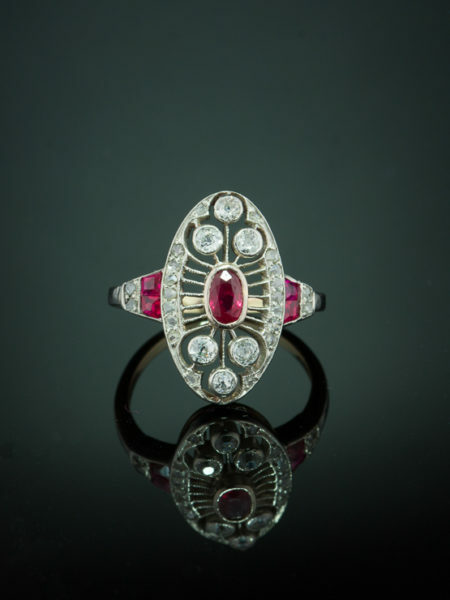 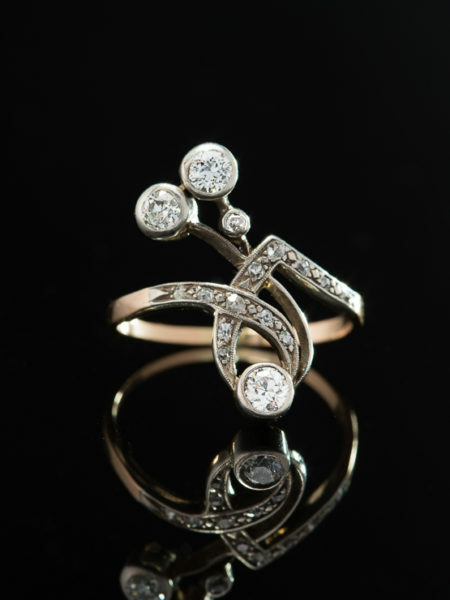 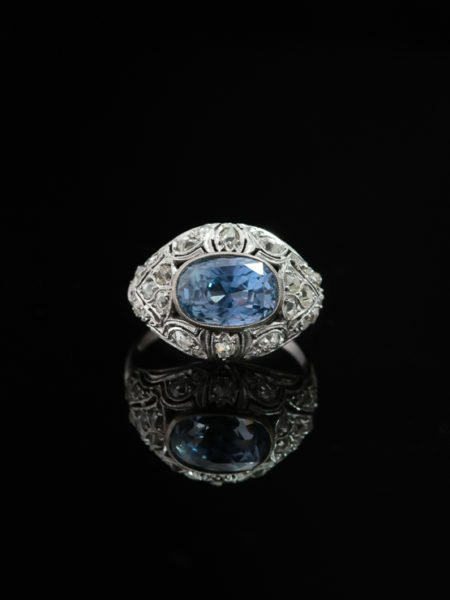 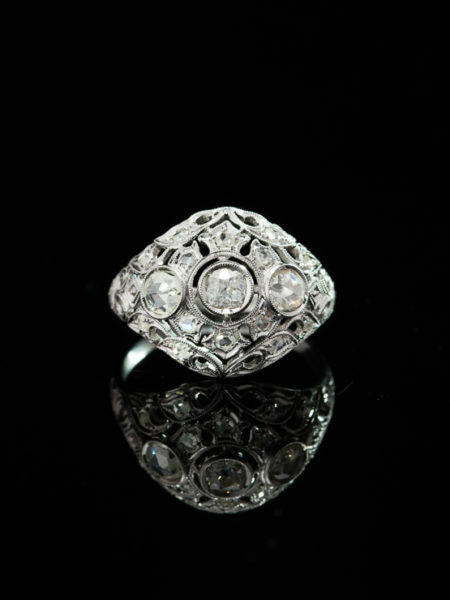 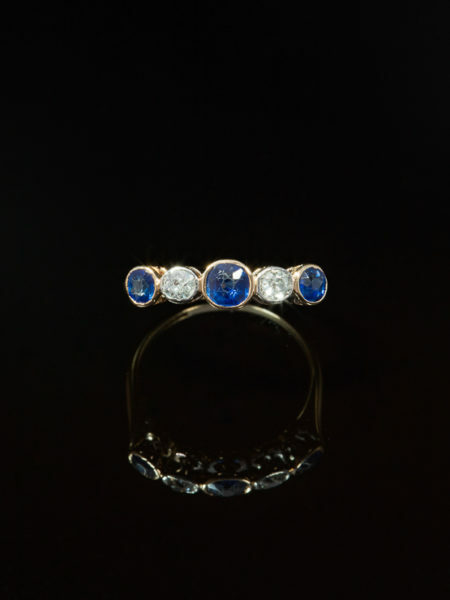 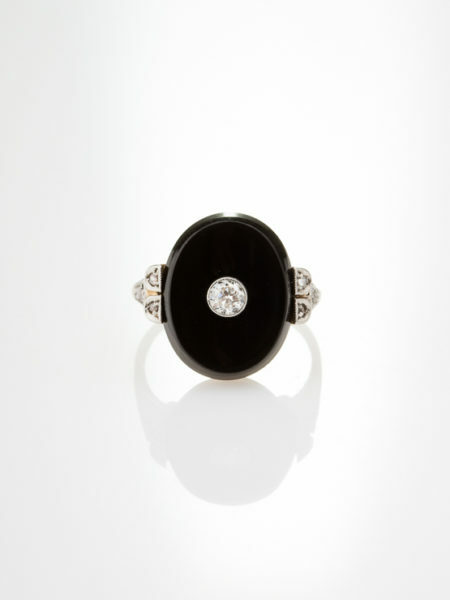 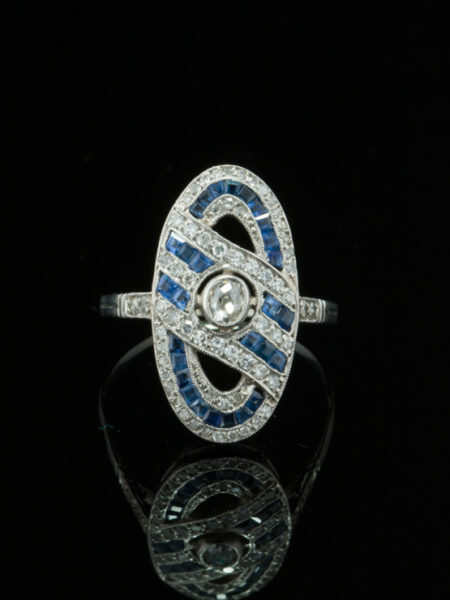 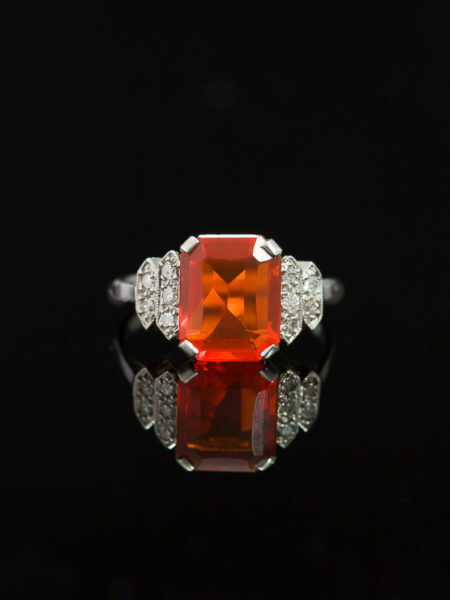 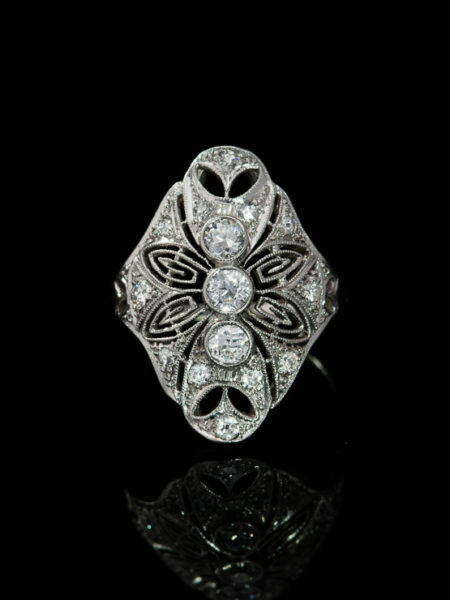 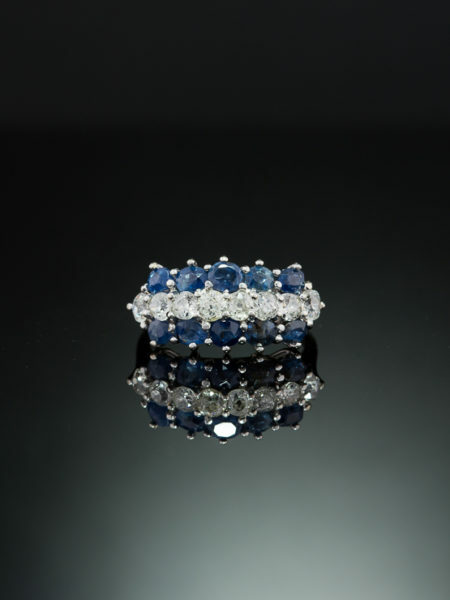 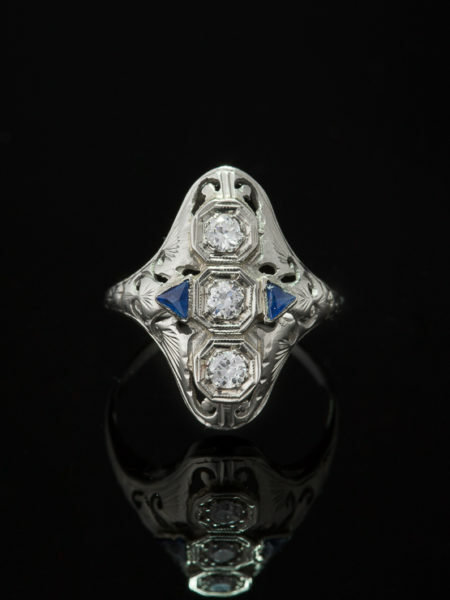 With lots of scintillation, flash and drama this Art Deco diamond halo ring could easily become your signature look. 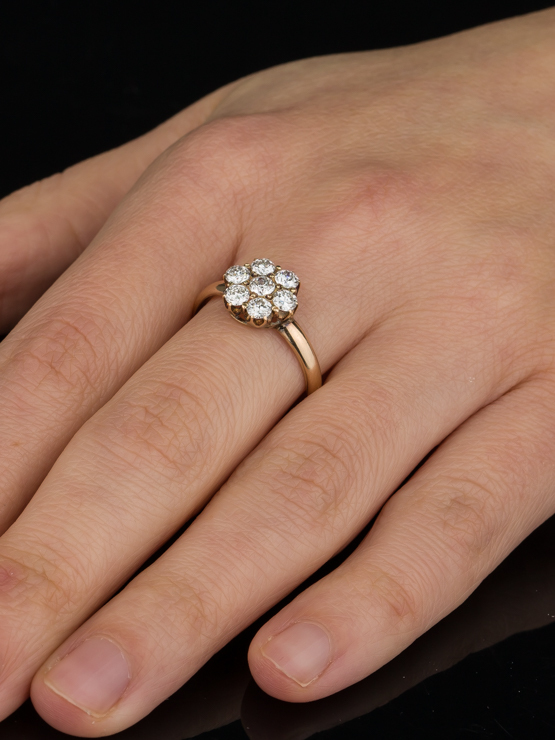 The visual interplay of this diamond flower ring speaks for itself presenting a powerful picture of 1.45 Ct approx of glitter and shine. 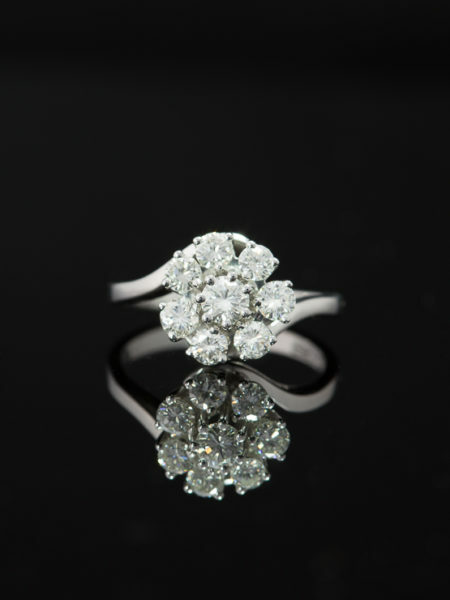 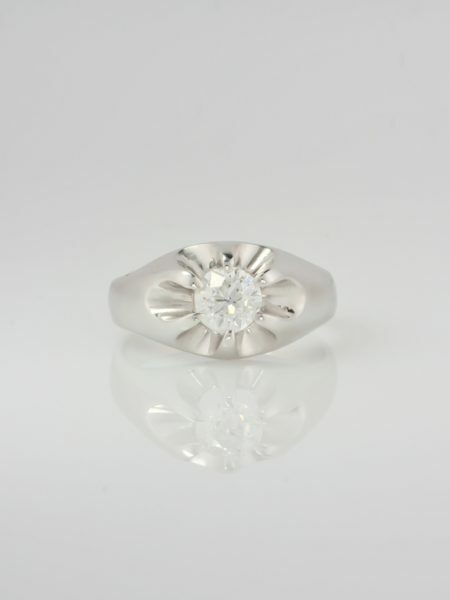 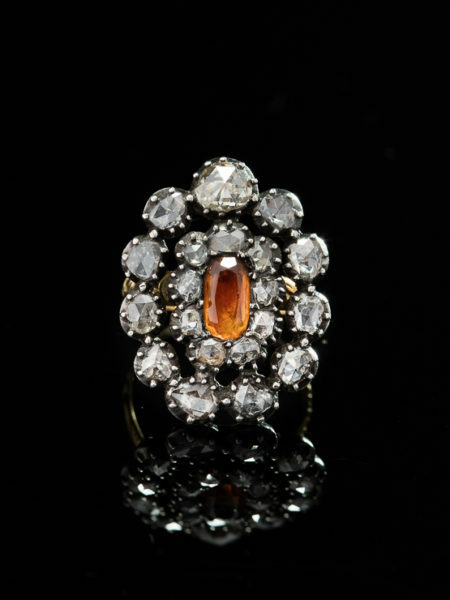 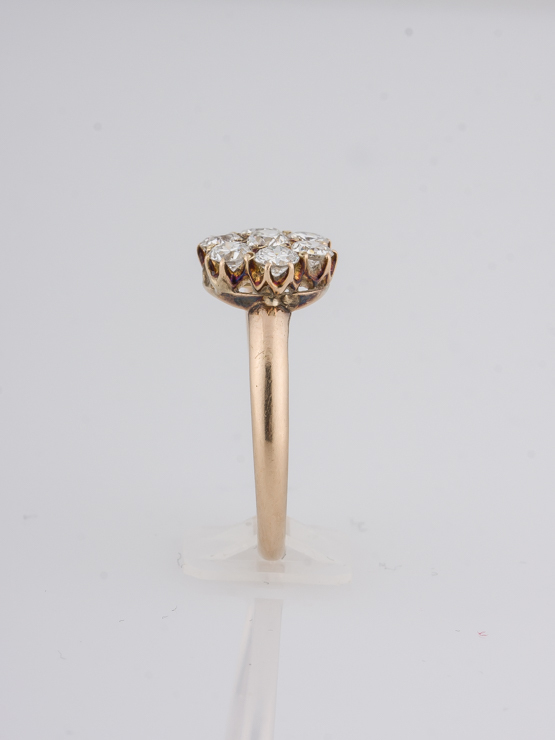 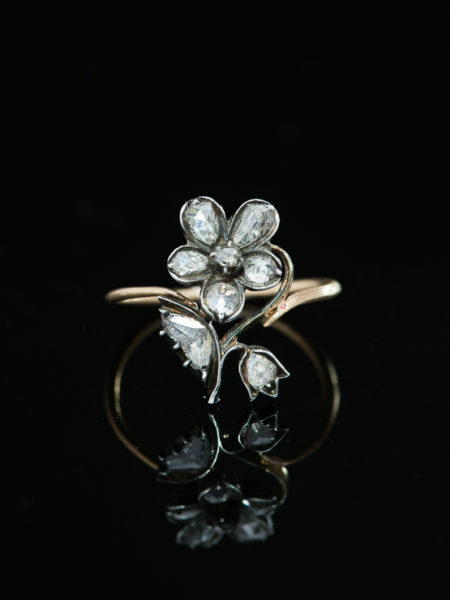 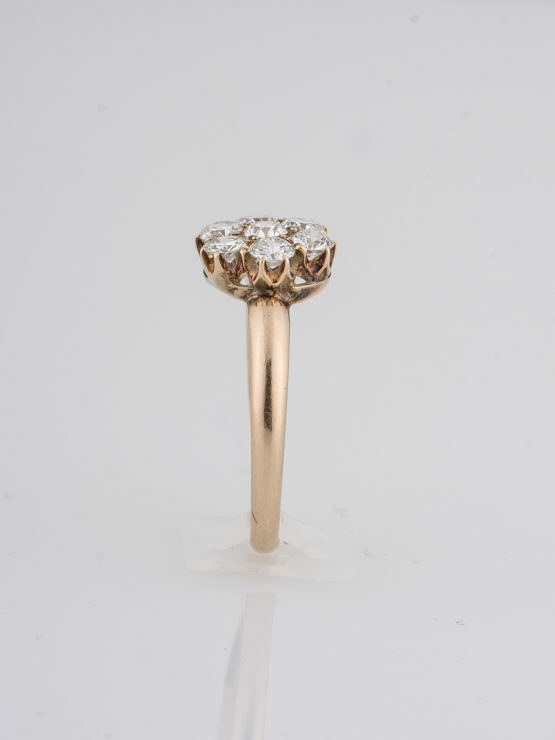 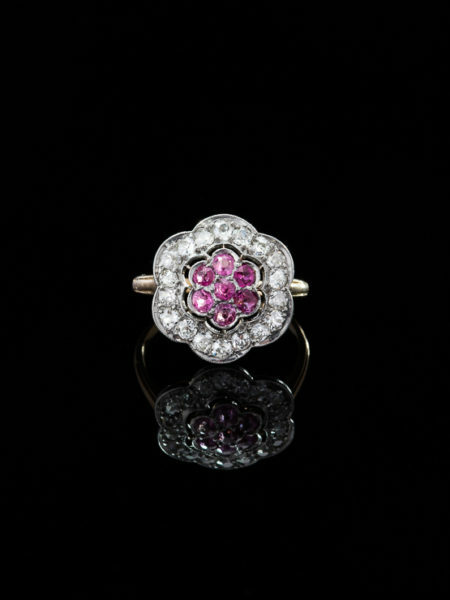 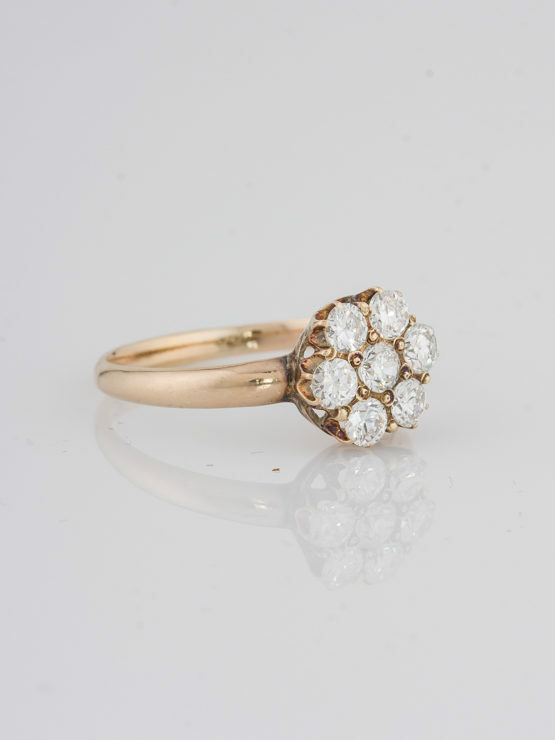 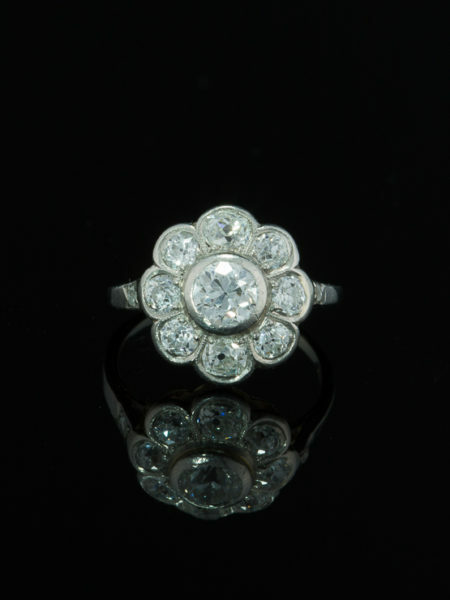 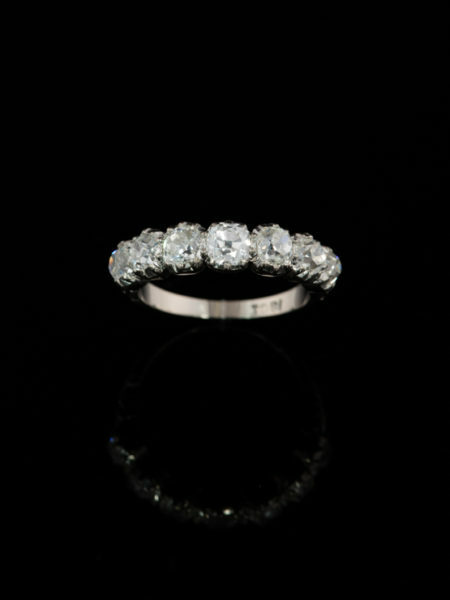 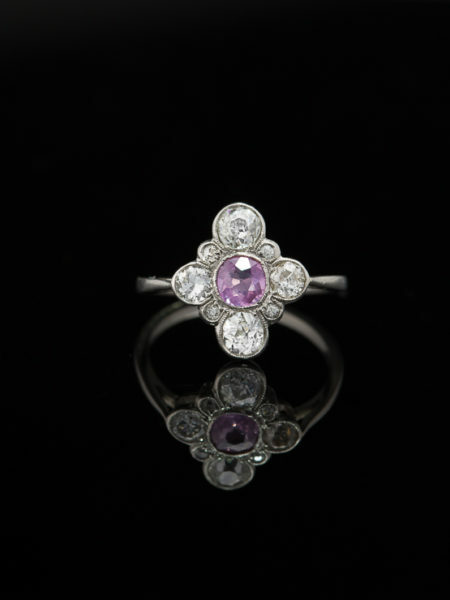 A central old transitional cut diamond of approx .20 Ct radiates from the nucleus of a sparkling flower head. 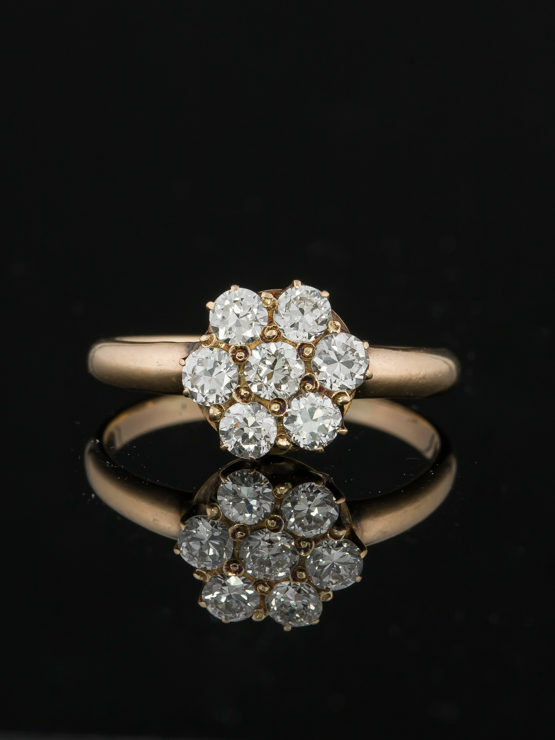 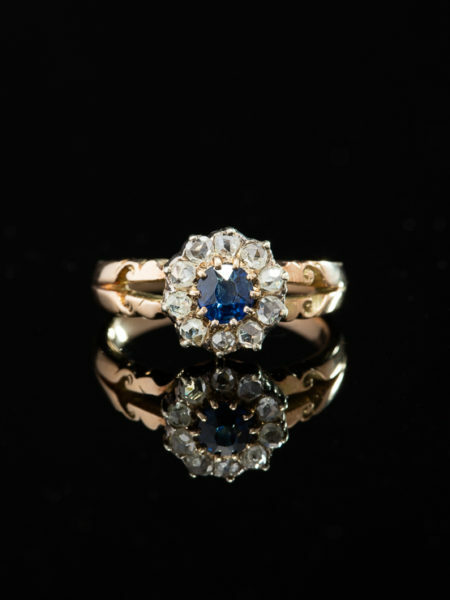 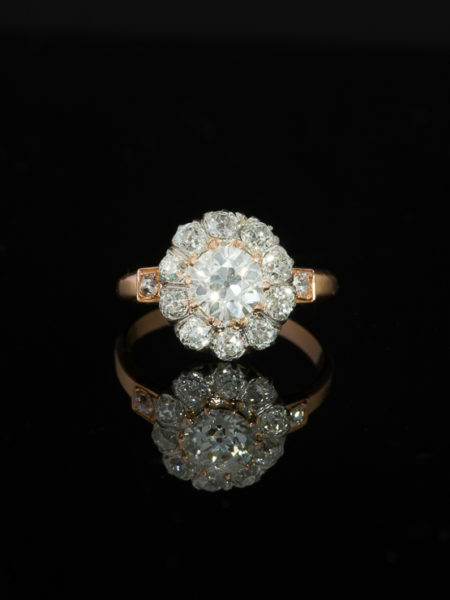 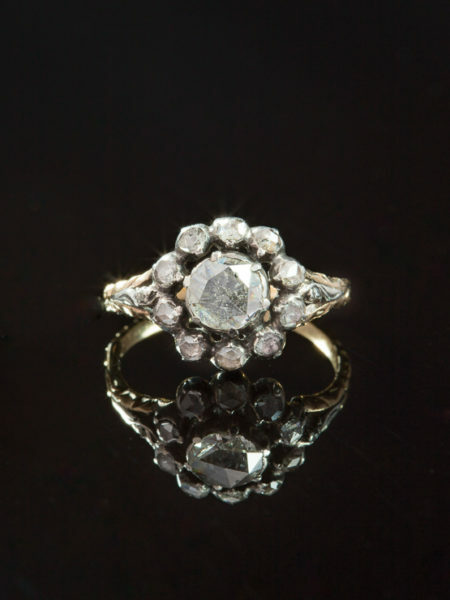 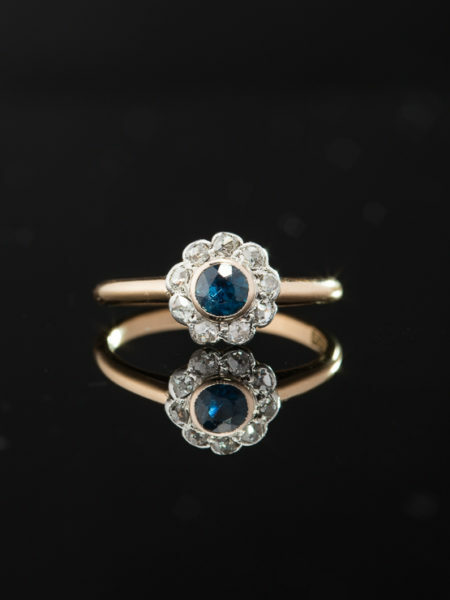 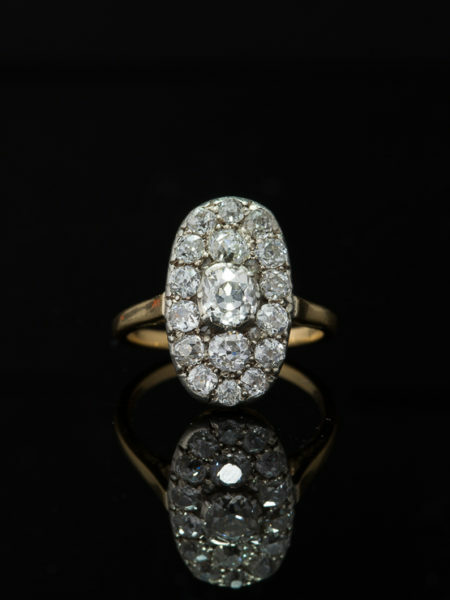 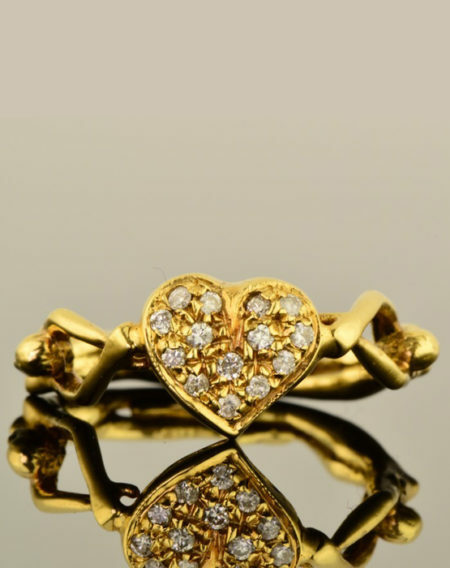 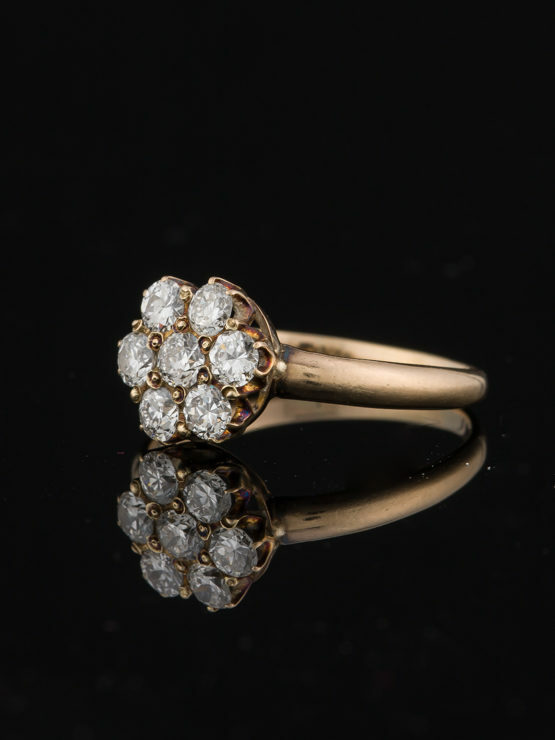 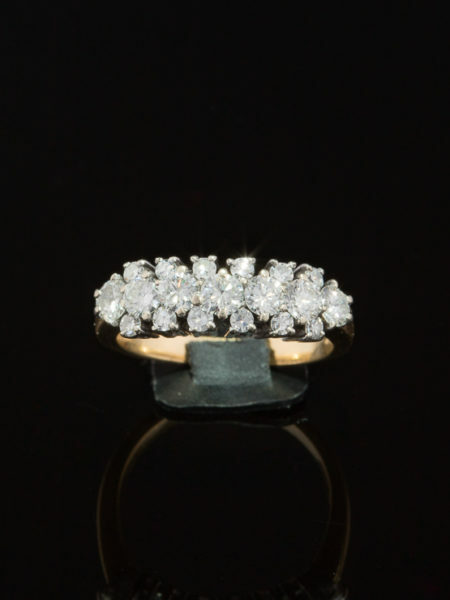 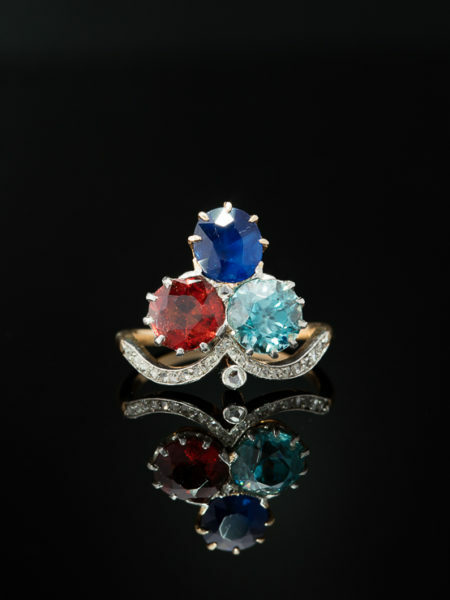 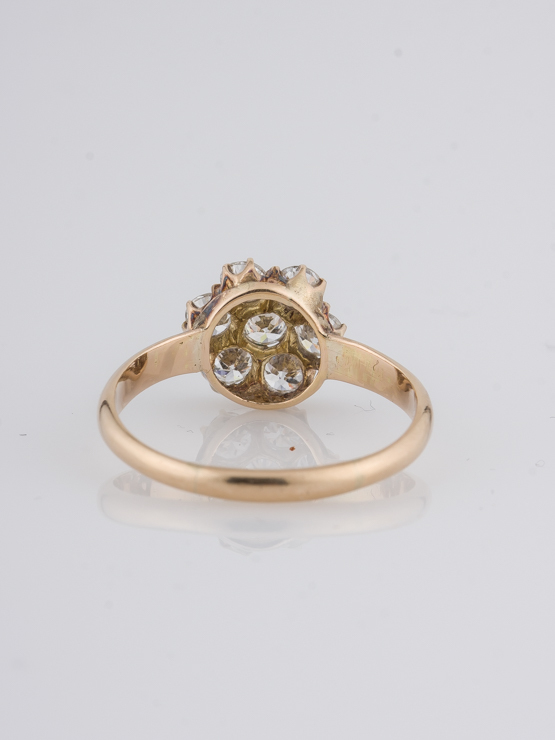 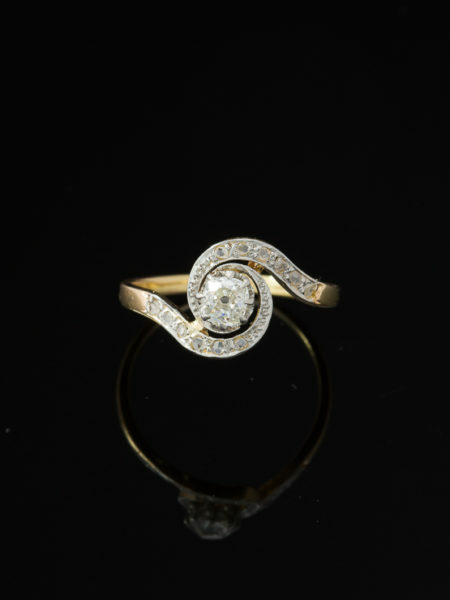 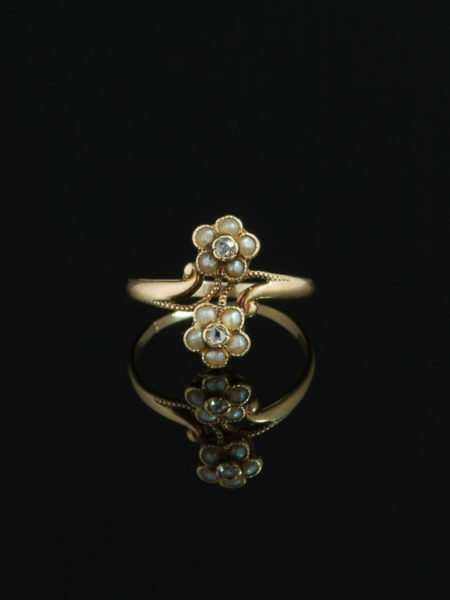 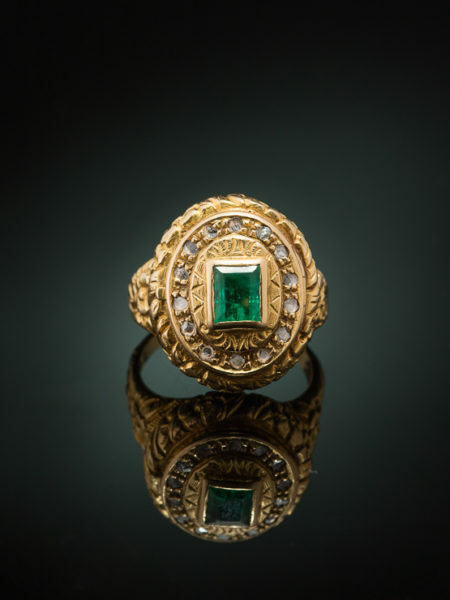 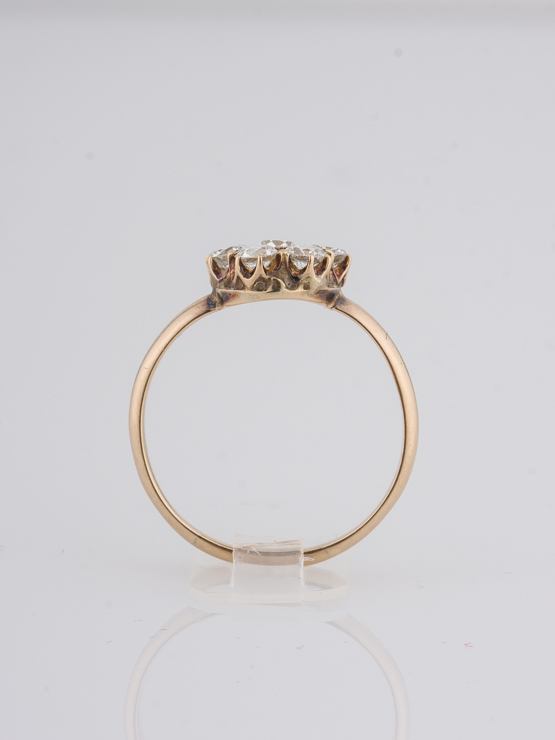 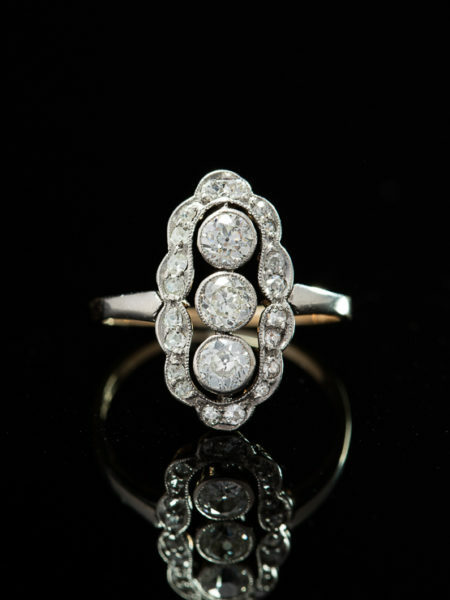 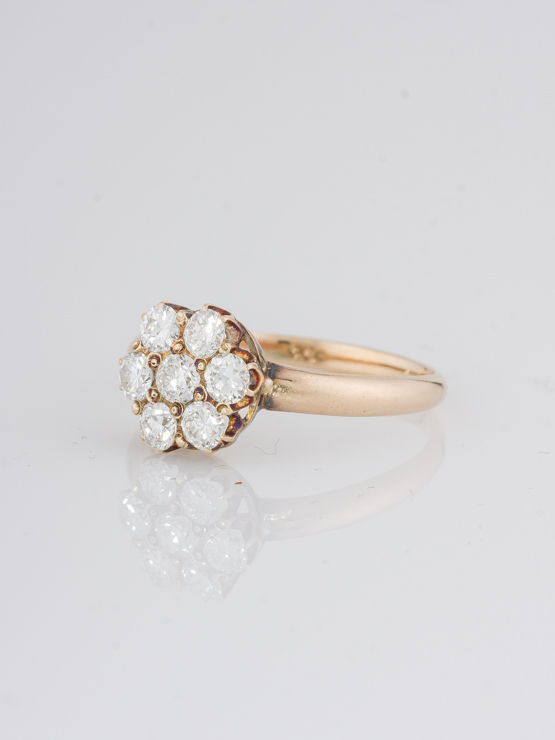 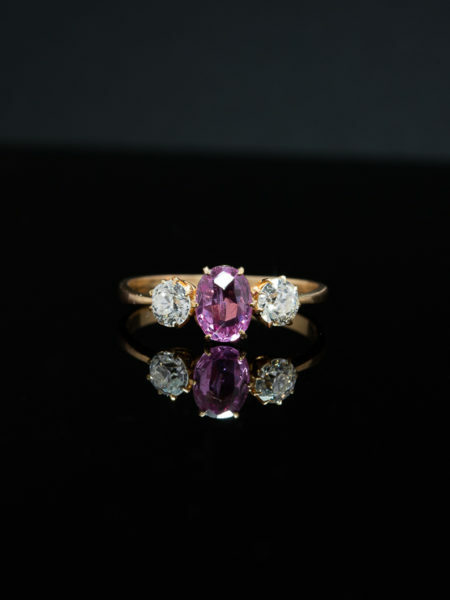 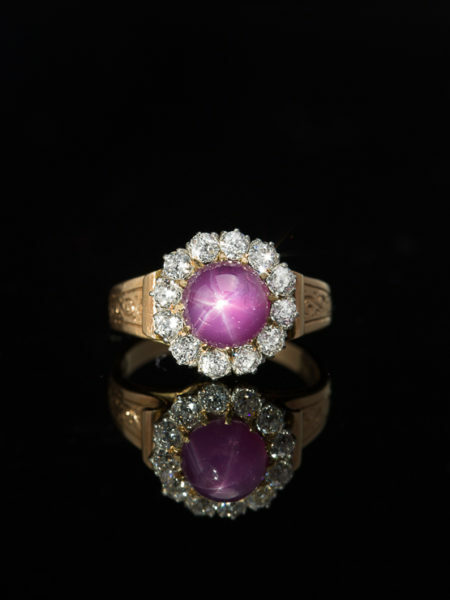 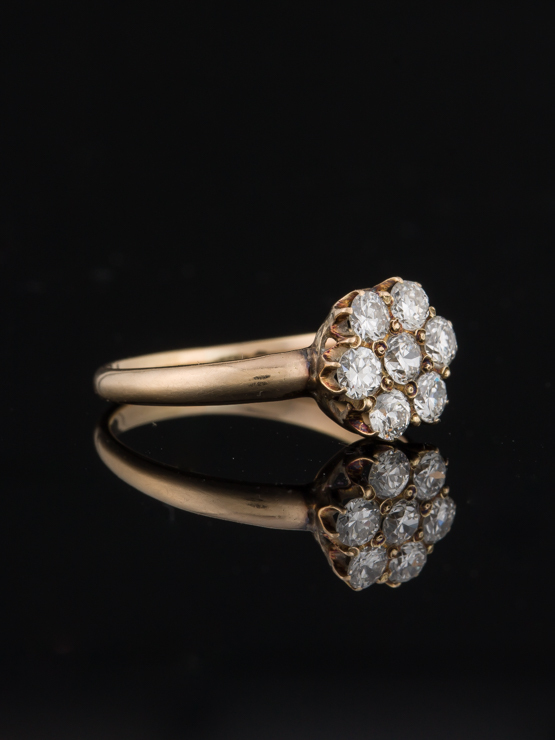 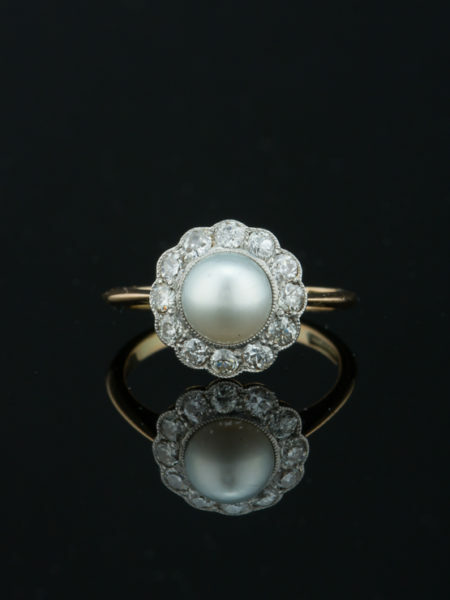 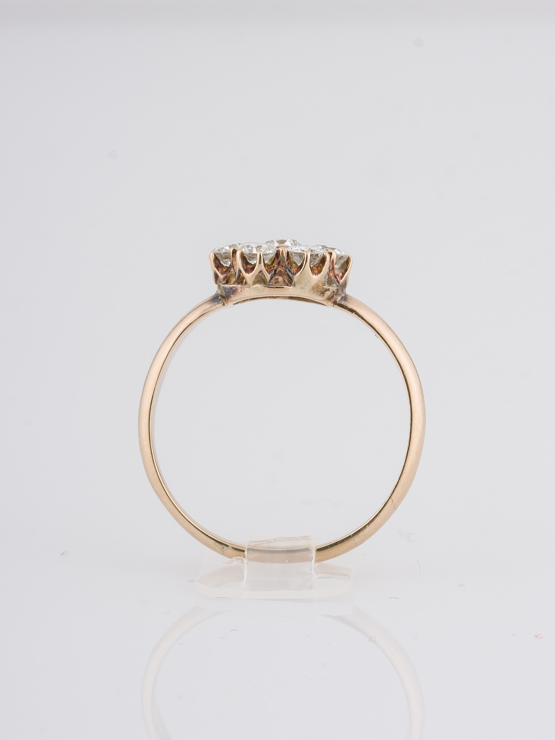 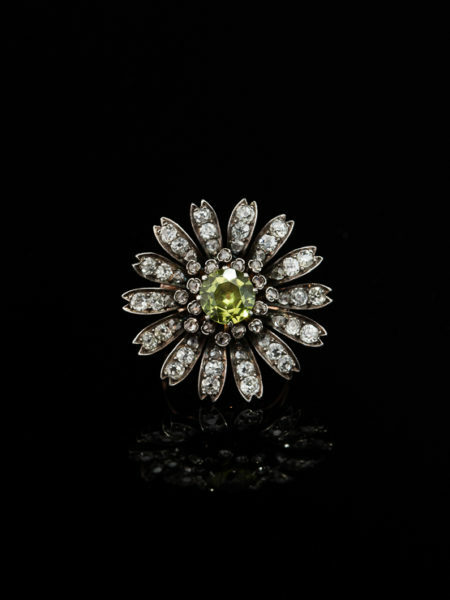 Enclosing the centered gem in a circle of fiery lights and brilliant rays are six old transitional cut diamonds totaling approx 1.25 Ct.
Artfully crafted in 14 Kt yellow gold during Art Deco era. 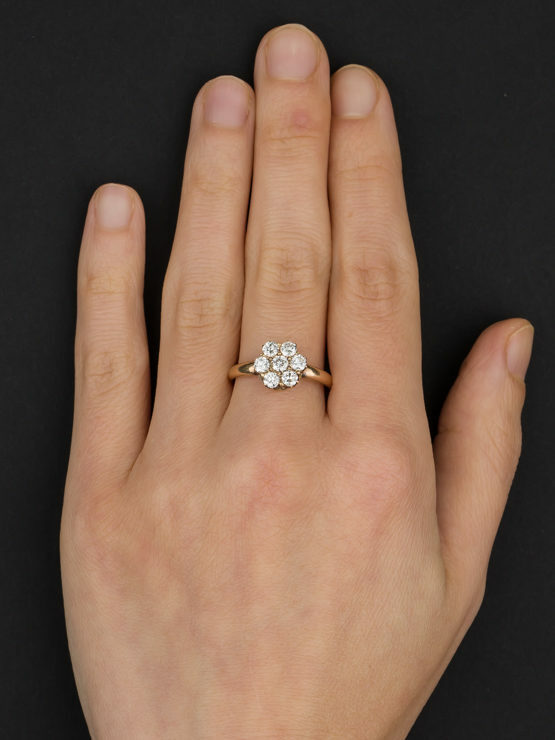 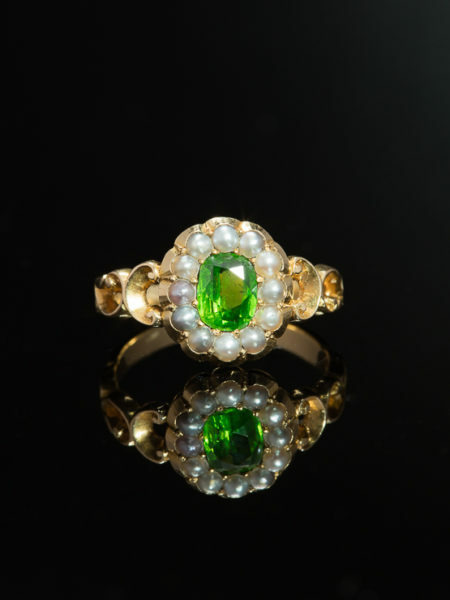 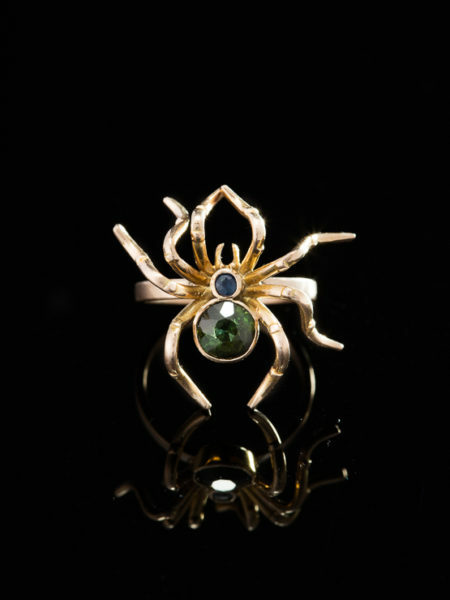 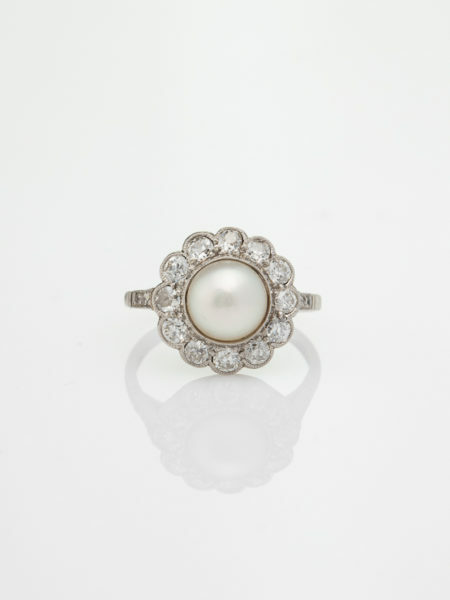 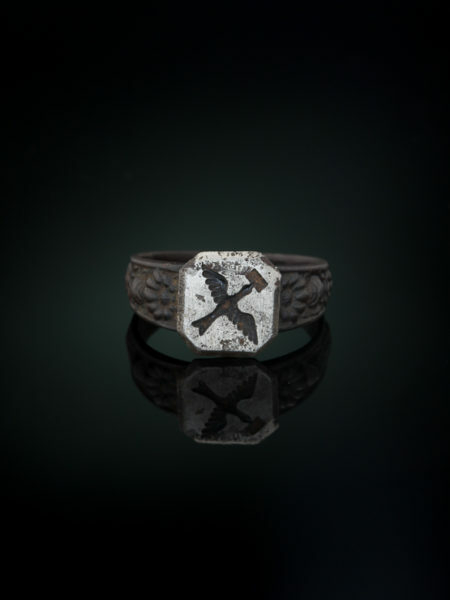 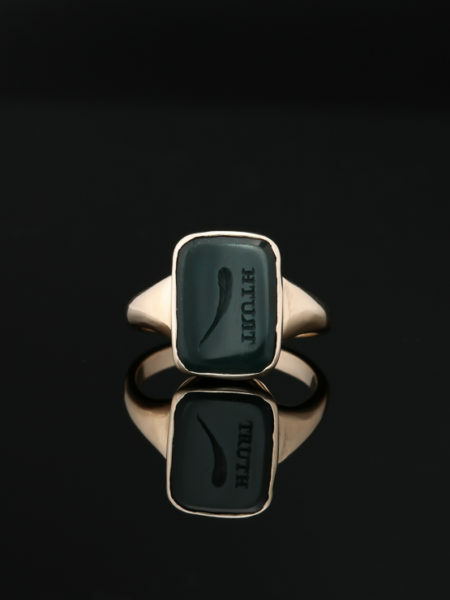 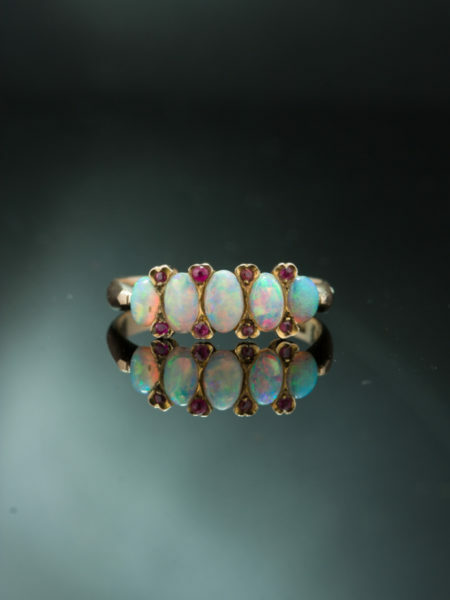 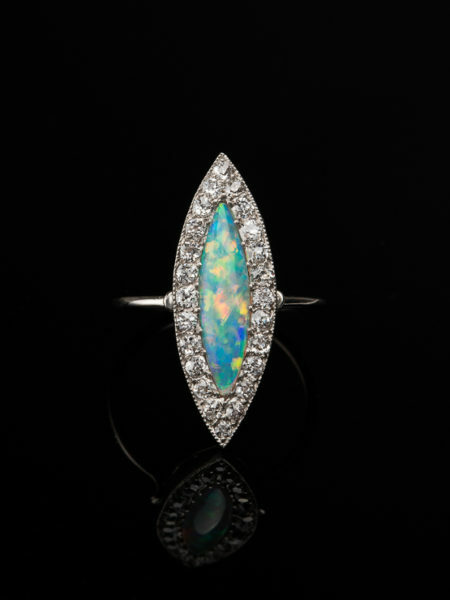 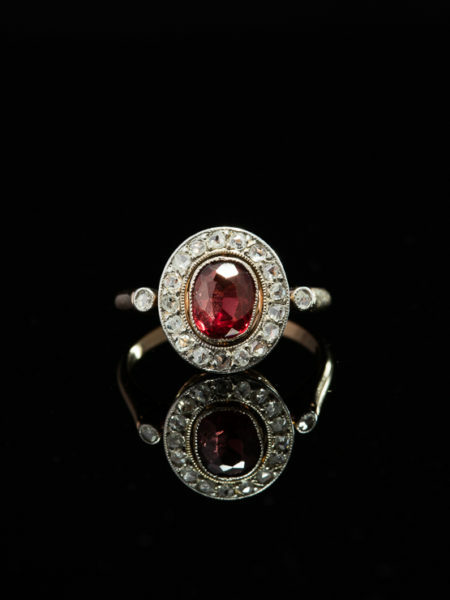 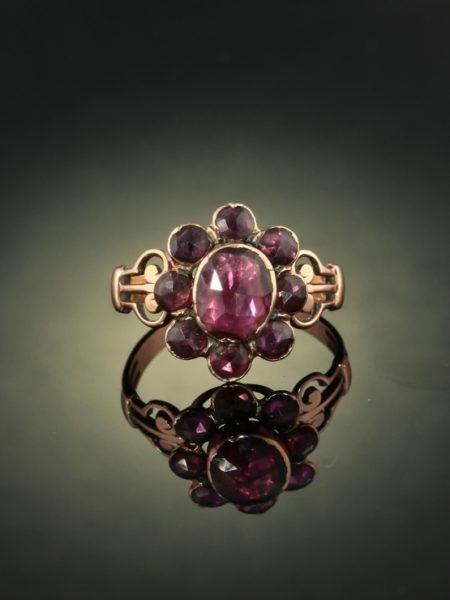 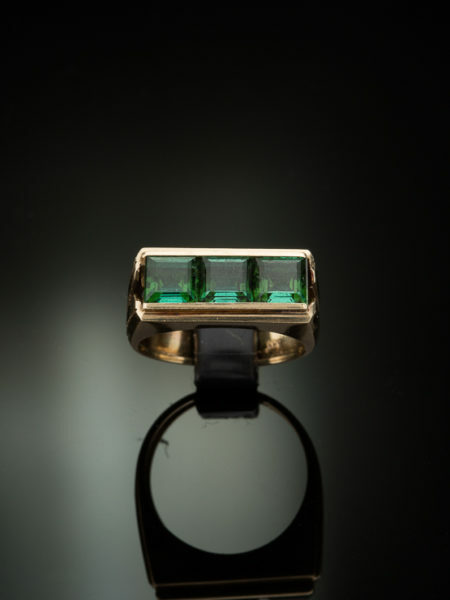 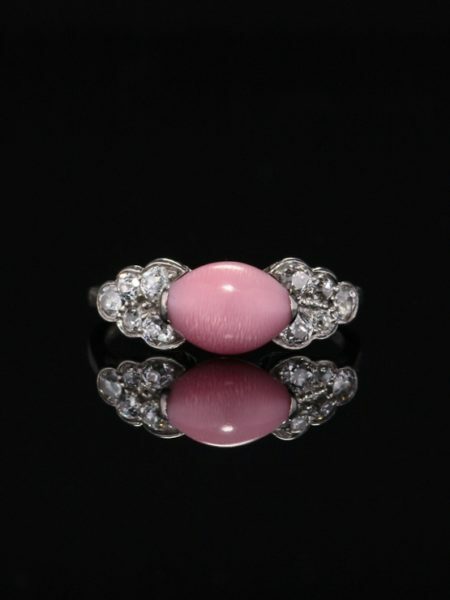 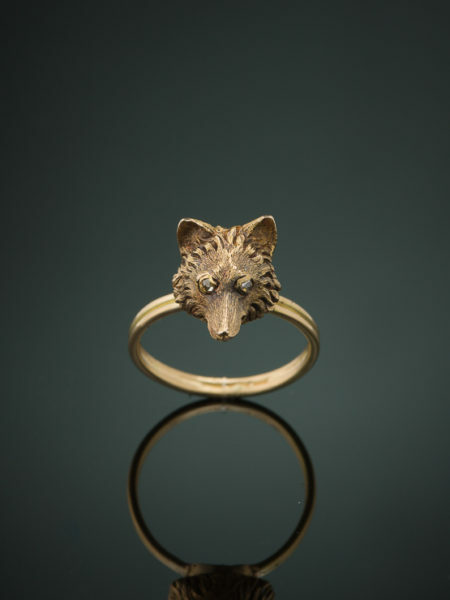 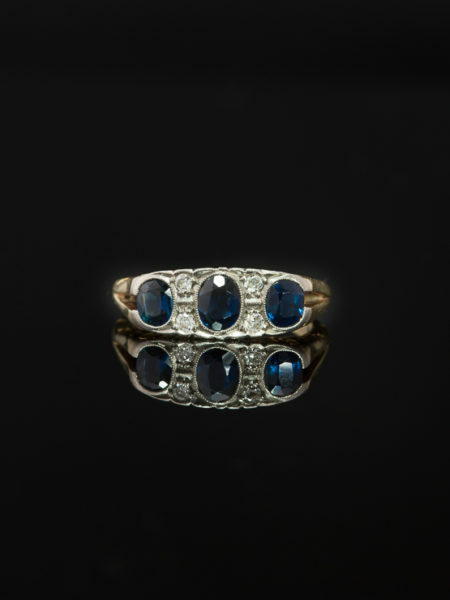 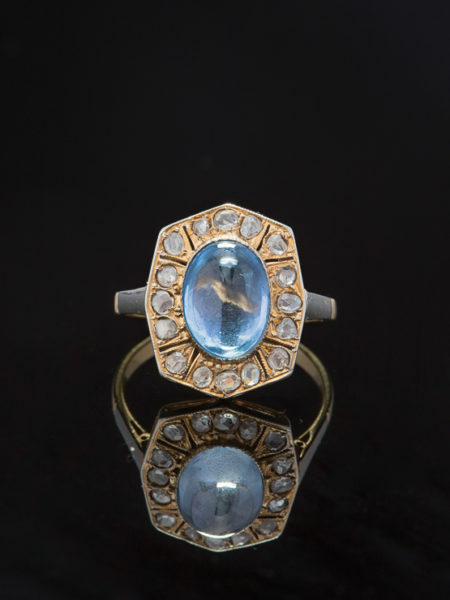 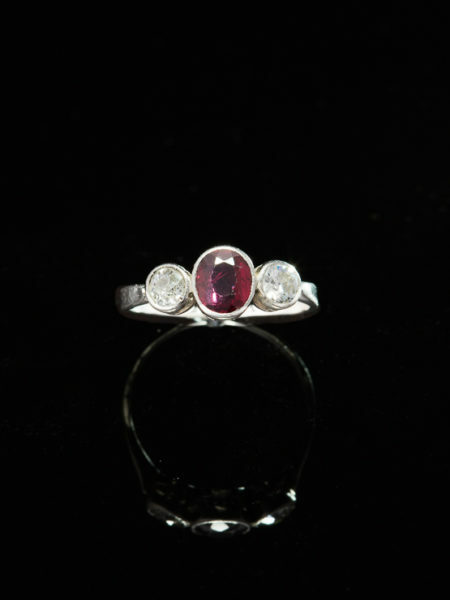 Would be fabulous as anniversary gift or very unique engagement ring or just a sparkling right hand friend.